Natural remedies for ichthyosis work, and sometimes they are the only way to keep ichthyosis at bay. We discovered a natural remedy for ichthyosis that works better than any other. It serves as a basis for a natural cure for ichthyosis, but it has to be used in combination with other natural remedies, which we will explain. Here is The Indian Rose complete guide on how to cure ichthyosis naturally! There are different kinds of ichthyosis. Ichthyosis Vulgaris is the most common ichthyosis, and the one we will focus on in this article on natural remedies for ichthyosis. Now, let’s see what ichthyosis is. Ichthyosis is a skin disease that alters the normal skin cells production and elimination pattern. The skin of people affected by ichthyosis either produces new skin cells too quickly, or sheds old ones too slowly. The result is a extremely dry skin, with fishscale-like flakes. Ichthyosis can range from very mild to severe, and generally improves in hot, humid climates. if you are health-conscious, you might be interested in reading is honey sattvic? What Are the Causes of Ichthyosis? Before we explain how to cure ichthyosis vulgaris naturally, let’s see what causes it. For the majority of people, ichthyosis is an inherited genetic condition. Others can be born with a genetic mutation, with no family history of the disease. In people with ichthyosis the gene responsible for encoding filaggrin – the skin’s natural barrier – is altered. How to Cure Ichthyosis Naturally – Miracle Remedy! Ichthyosis treatment revolves around hydrating and exfoliating dry skin. What follows is a comprehensive guide of ichthyosis natural treatments. Not all treatments work equally on everybody, so experiment with them! ALEPPO SOAP with 40% bay laurel content. Use it to clean and exfoliate your skin with the help of a loofah sponge everyday. It works, it does! This is the best natural cure for ichthyosis. Gently scrub skin with a pomice stone or a loofah sponge with, of course, Aleppo soap! Some of you might also be interested in checking out what the Ayurveda treatment for PCOS is. If your ichthyosis is severe, wrap your skin in plastic wrap for a few hours after applying the moisturiser. From time to time, exfoliate your skin with a mixture of sea salt and coconut, olive, or almond oil. People with ichthyosis can get amazing benefits from consuming fish oil. The reason is simple: fish oil contains a lot of vitamin A and omega-3 fatty acids, which dry skins need. It can be cod liver oil or another kind of fish oil. Cod liver oil has 13,600 IU of Vitamin A per tablespoon, but it is at risk of containing toxic elements. Two words of caution: talk to your doctor before starting taking fish oil, and choose one that was extracted without heat. One of the best natural remedies for ichthyosis. The effect of coconut oil on ichthyosis is two-folded: its vitamin E content provides the skin with the vitamins it lacks, while its antibacterial properties avoid infections caused by cracking. Hemp seed creams and oil contain everything the ichthyosis skin needs: essential fatty acids, omega 3, omega 6, proteins, zinc, and magnesium. You can take hemp oil internally, and use oil and creams on your skin. If you opt for using hemp oil on your skin, mix it with a hydrating oil (such as coconut or argan), as it can be too dry. 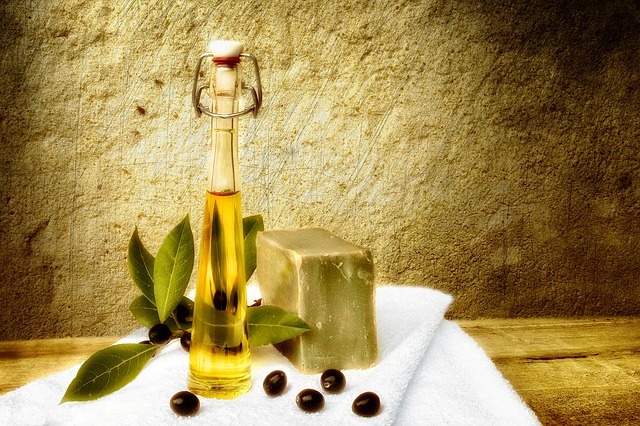 Always buy cold-pressed, unrefined oils. With its high vitamin E and fatty acid content, argan oil is another great natural remedy for ichthyosis. Let us know how the miracle remedy, as well as the rest of natural remedies for ichthyosis worked on your skin!